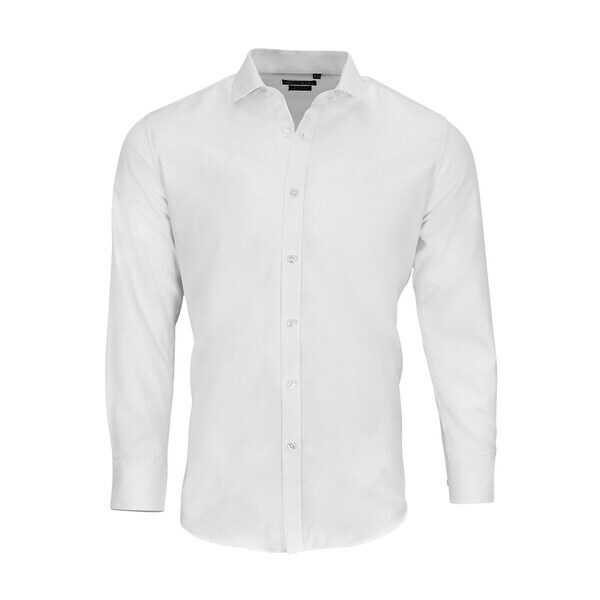 Dolce Roma offers a performance dress shirt that feels as good as it looks with flex color -Slim-fit Dress Shirt. -%100 Cotton. -Machine Wash. -Made in China. Due to the nature of slim-fit items, we suggest purchasing one size larger. Very true to size and looks and feels great! This shirt was very comfortable and excellent quality. I was looking for a shirt that matched a pair of slacks and this was it. I really love the Dolce Roma brand, the material they use is of very high quality. The size is exactly what they say it is. This shirt is easy care and I had gotten many compliments at work with it. Keep shirts like this coming, for the price, very well worth it. Beautiful shirt unfortunately I bought the wrong size and had to return it. Purchase the correct size five minutes later because I wanted this shirt! The quality of this shirt is t amazing. Frankly, I am surprised to have gotten this shirt for under $100. It is incredibly comfortable and fashionable. The color is impeccably pure and the material, which is undoubtedbly 100% pure cotton is so very soft. I love the material on this shirt. It was described very well. Keep in mind when they say slim fit, they mean it. I would definitely recommend this to anyone.